WAREHAM, Mass. 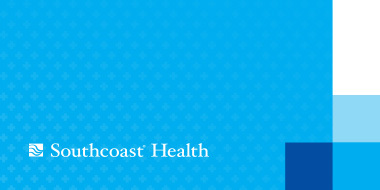 – Southcoast Health today announced that bariatric surgeon Jorge Huaco, MD, MPH, has joined Southcoast Physicians Group. He will see patients at the Southcoast Center for Weight Loss, 100 Rosebrook Way, in Wareham. The Southcoast Center for Weight Loss is designed to incorporate a thorough approach to weight loss surgery utilizing a team comprised of dieticians, psychologists, nurses and surgeons to provide a safe and comprehensive surgical weight loss program. The care far exceeds national quality standards. In fact, Southcoast is designated as an accredited center by the Metabolic and Bariatric Surgery Accreditation & Quality Improvement Program for its demonstrated track record of consistent, favorable outcomes in bariatric surgery. Healthgrades also named Southcoast among the top 10 percent of hospitals evaluated for bariatric surgery in 2013, while giving the program a five-star rating for five years in a row. Prior to joining to Southcoast, Dr. Huaco completed his fellowship in minimally invasive surgery and bariatric surgery at the Cleveland Clinic Florida. After receiving his doctorate from the Universidad Nacional de San Agustin in Arequipa, Peru, Dr. Huaco earned a master’s in public health/epidemiology from the University of Washington, School of Public Health. He completed his residency in pediatric surgery at Universidad Nacional Federico Villareal – Instituto de Salud del Niño, Lima, Peru, followed by his fellowship in pediatric surgery at the University of Miami-Jackson Memorial Hospital in Miami. He also had residencies in general surgery at the University of Miami-Jackson Memorial Hospital and at the Swedish Medical Center, First Hill, in Seattle. Dr. Huaco was named “Intern of the Year” for 2007-2008 while in the general surgery program at the University of Miami-Jackson Memorial Hospital. Dr. Huaco’s memberships include Colegio Médico del Perú, American Medical Association, and candidate memberships with the American College of Surgeons, Society of American Gastrointestinal and Endoscopic Surgeons, and American Society of Metabolic and Bariatric Surgery.